O banco Carlos nasceu num projecto de fim de semana durante o curso de design de mobiliário da Lisbon School of Design, em que o professor desafiou os alunos a desenharem um banco em madeira que fosse especial de alguma forma. O design deste banco tenta fugir ao preconceito de que um banco é um objecto redondo com quatro pernas concêntricas. Um assento circular e curvado proporciona mais conforto. Foi criada também uma separação entre o assento e as pernas com o objectivo de se entender com maior clareza as funções de cada elemento - Função estrutural e função ergonómica. 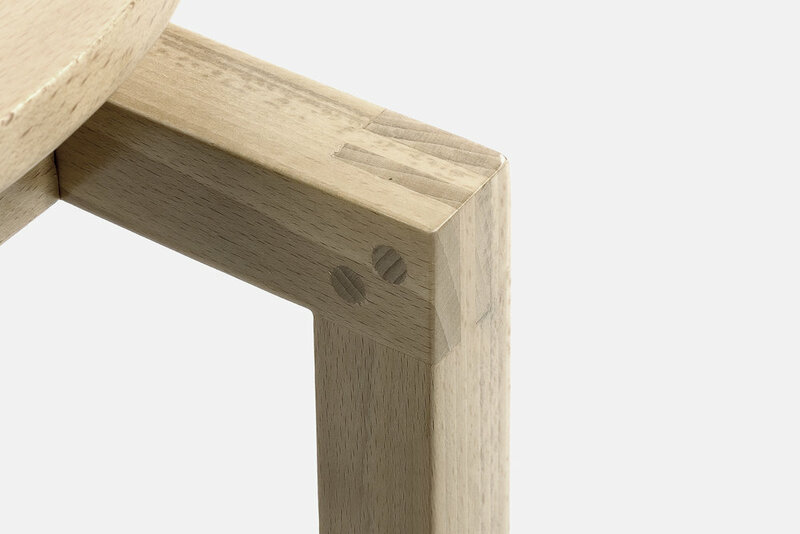 The Carlos Stool was born in a weekend project in which the tutor challenged us to draw a wooden stool that was special in some way. 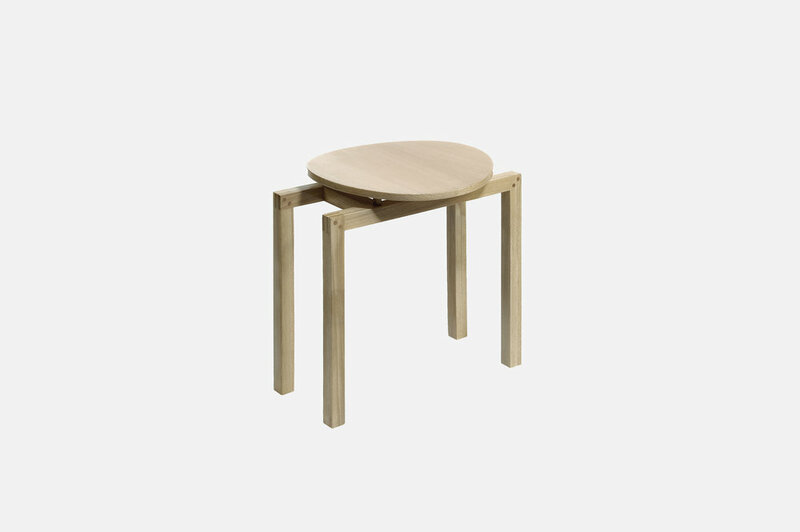 The main idea was to create a stool that avoids the preconceived idea of a flat circular top with four concentric legs. A round and curved seating was created, not only because the stool would become lighter, but also to better fit the human body. Another aim was to establish a small separation between the legs and the seat, with the view to identify the different functions of each element - structure and ergonomics.